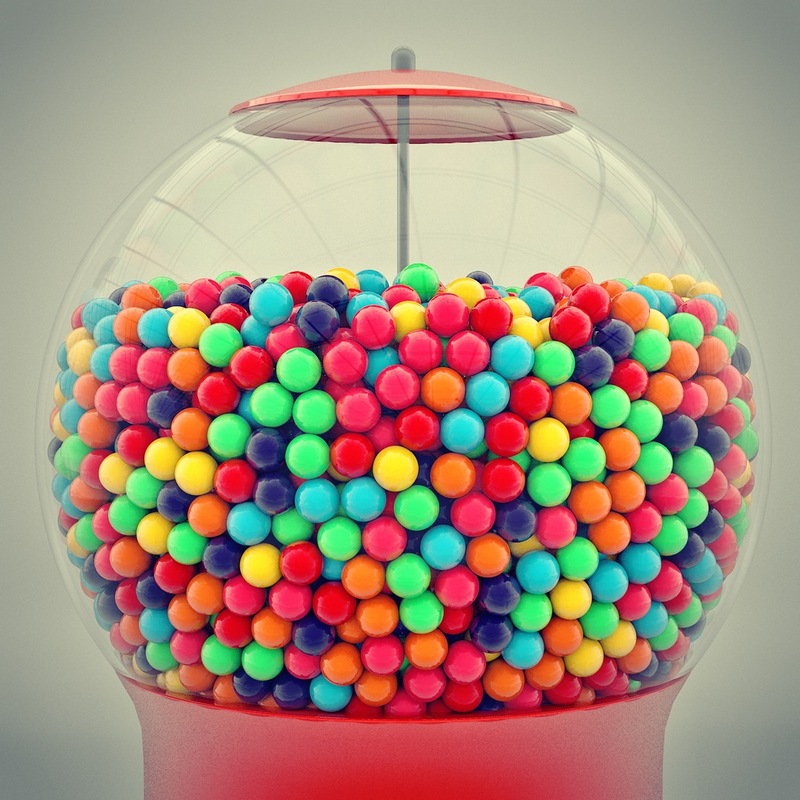 In this tutorial I show you how to model, texture and light a simple gum-ball machine using primitive shapes and deformers. 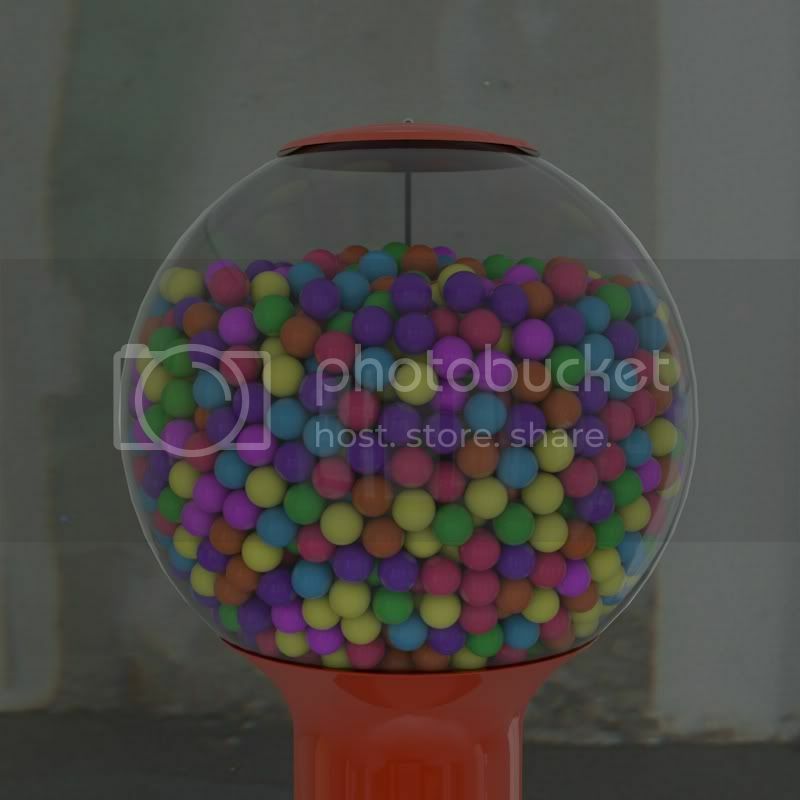 I also set up a dynamics system to fill the machine with gum balls and light the machine using HDRI and the Sky Sampler. Then, we head in to Photoshop to do some final color correction. Awesome, was looking forward to this tutorial! Thanks Nick! It’s full of spheres !! Great tutorial man! Just a quick note that under the “Basic” tab of an objects attributes you can select X-Ray which will allow you to see through the object. It’s a little quicker than using a texture. @mark: try using a spline wrap set to rail then tweak the curve display to make it thicker and thinner where it goes in and out of the knot. of course, you’ll have to draw the spline that makes the bow. you don’t need a tut for that, just practice. Gumball + pinball… played Twilight Zone? That’s one of my favorites, Tobbe. Fun! Great tutorial again ! Quick tip : in photoshop, you don’t need to make a selection, then a copy paste, just hold Cmd+Alt+Shift+E for combine all visible layers in a new layer. I was thinking exactly the same thing. I wondered, “What on Earth is he doing? Adobe have a shortcut to do that!”. Hey Nick, I wish you use Lightroom instead of Ps. nick, quick comment / question about the way you do fresnel on the reflection all the time. when you create a fresnel you then always mess with the brightness slider. it seems to me that the brightness slider does nothing at all to affect the look of a fresnel. is that true or am i missing something. i know the mix strength definitely affects a fresnel btw. @ggreg. It does have an effect. But, only if you turn the fresnel down also. The top slider acts as a global reflectiveness if you turn the fresnel down. i put them in the folder of plugin but when i run application there are nothing in the plugin 🙁 could you please help me??? Nice tutorial, I enjoyed watching it! quick question; when using cloth nurbs, is there also a way not to have the gumballs intersect, I do like the look of it here too, but it will not always work for every project. thx! @lsslss Just extrude out instead of in and there will be no intersection. Hi, Nick. Very simple and super tutorial. Here’s my version of the renderer. @lsslss One of Chris’ tutorial recently showed how to make the dynamics stay a away from an object. What you need to do is select the glass sphere, and in the dynamics tag, under ‘Collision’, tick the box that says ‘use’ and then in the ‘margin’ box give it something like ‘3cm’. That means the dynamics will always stay 3cm away from the collision object. Thanks for the brilliant tutorial Nick. Here is my attempt. Not Gum balls, but using similar techniques. Hey Nick, maybe you could do a tutorial about texture of chanttilly or cappuccino foam. I looked all over the internet and found nothing about it. I just wanna say… I love all your tutorials! Since I found you, I watched every tutorial. I love Cinema4D and sometimes I had a little problems by understanding tutorials in english, because I’m german, but your tutorials are allways followable and I understand every step you made. So I just wanna say: Thank you for all your great work and all the inspiration you give us! Does the Sky Sampler work well with animation? Great tip with this x-ray thing, thank you for that! nick im trying to create the spiral downfall ramp that the gumballs go down but i cant seem to make a working spiraling ramp , when you get a chance could you make a tut explaining how to go about making it? – Why not put the Dynamics tag on the cloner ? 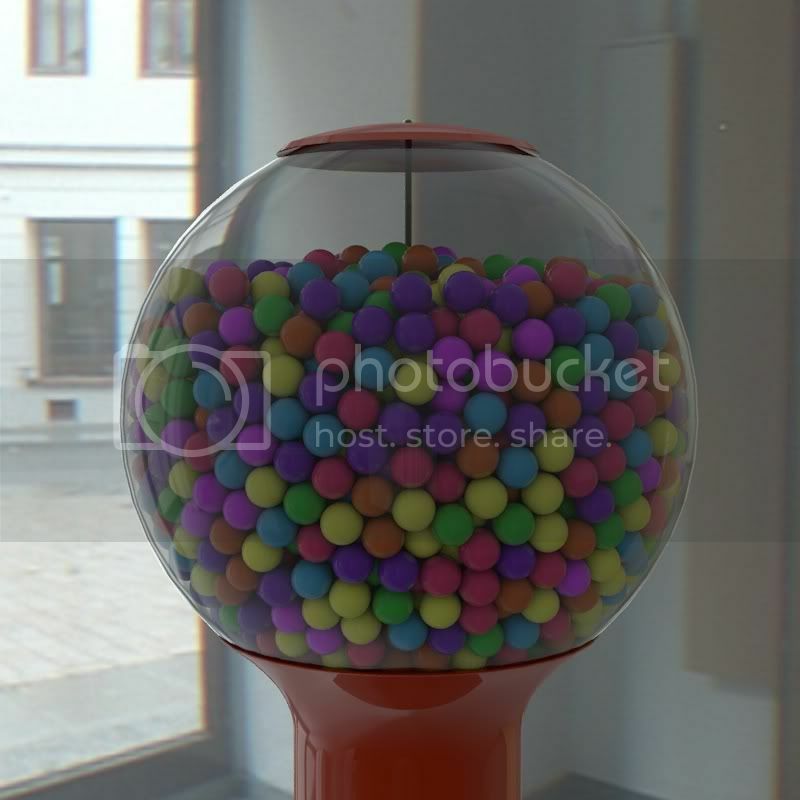 – Why not use a Multi-shader for the gumballs color ? I understand there is no “right way” but are there any perks in doing it like you did ? @Godmil – thanks for the vid. Nick in your render there are some reflections of gum balls at the top of the glass dome. Were these added in Photoshop or were they rendered in Cinema? @Bender, can’t speak for Nick, but in my renders those reflections (refractions?) appeared in the render.. they could probably be tweaked by playing with the refractive index of the glass. I had a problem to create the top of the machine because I couldn’t bevel it to give a more realistic shape in the bottom (Some people had the same problem in their final renders). My solution: Select the oil tank, delete the height and bottom, then you have the top of the gumball machine, chose bevel and scale the first segment at the bottom, making it smaller (so you have now a kind of base), then you can bevel the next segment (by selecting bevel) and have a rounded and smooth end. Hey – thanks and appreciation for the tutorials! – Spend more time in photoshop! – Cheat to save time where acceptable. – Experiment and have fun. Here’s the result of a little tinkering llast night. I like that you give those little tips about how to make something more realistic. Like never use real black and the texture of the gumballs. It really helps with modeling things like this. i wanna try to make an animation out of this, make something hit the glass and it shatters and the gumballs fall out of it, how would i achieve that? any tips? @Bjarni Give it a try and find out where you get stuck. Watch the latest shatter tutorial from Chris. it’s a good starting point. Dude’s… im so noob, Can any one tell me how to inverte polygones? Yeah I watched his shatter tut and it’s great help, however I get stuck with making the balls acctually stay inside the sphere before the collision happens, they always seem to either explode out or just stay there without any dynamics to them… kind of hard to explain but I hope you get my drift. I’ve given it a try. Here’s my example. Previously, I’ve played around with some of your excellent tutorials but I never really finished anything. It was fun and I hope to get making my own cool stuff soon. I knew I wasent the only one modeling via deformers lol! There’s nothing wrong with using Deformers for modeling. I use them in conjunction with polygon modeling all the time. They are just tools like anything else. Whatever tool gets the job done the quickest is the best way. I’ve been going crazy trying to figure out how to give objects thickness, you’re a lifesaver Nick. And dude, your har looks awesome. My First tutorial with R13!! (cartwheels round room smashes through window) Managed a near identical image at the close. Managed to get my top cap matched up perfectly by matching the main sphere radius with the ‘spherify’ radius. Also for some reason couldnt find my cloth dude anywhere to thicken the main sphere. So i just doubled up the main sphere and made it smaller then re ran the gumballs! AS always, great job nick! 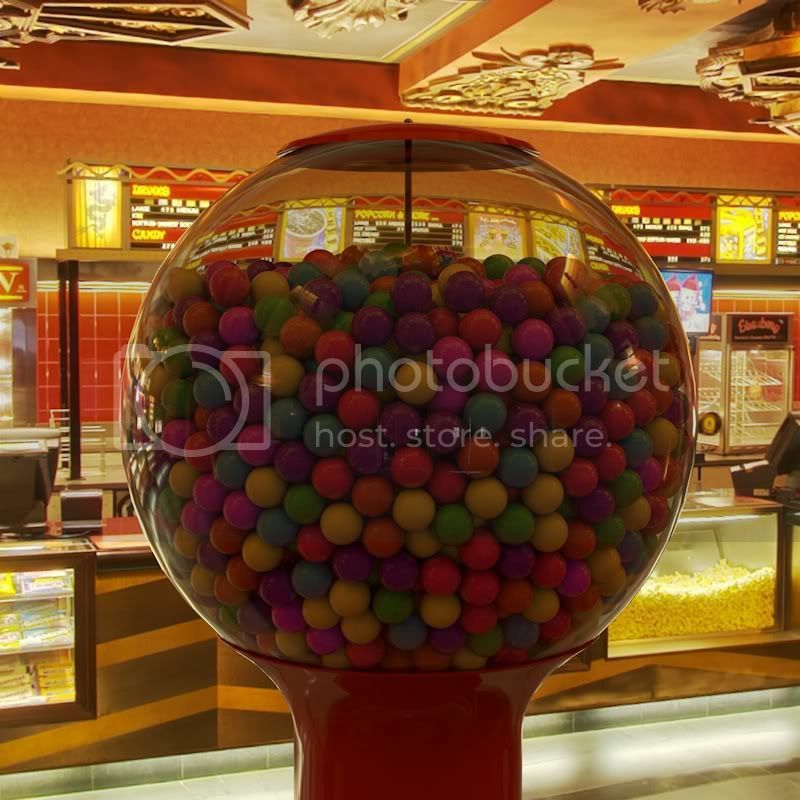 looks nice, but I see loads of intersections where the gum balls are entering the glass sphere! I actually talk about that in the tutorial. I decided to leave them in because I think they look like touch marks. is there anyway to contraol the hdri image? When I click on the deformer icon to get the drop down palette, it doesn’t show the names of the deformers next to each icon like I see in Nicks tutorial at 7:24. The deformer drop down menu is the only one that I have this issue with. Can anyone tell me how to change that? I’m using R13. Okay, I figured it out. But thanks anyway. i’ve got the same problem, applied the riged body tag on the gumball and the collider on the main sphere (glass thing). when i hit the play button nothing happends. I have this one question. It’s not related to this tutorial but I got an idea from it so… 🙂 I’ve made spheres to fall and I need to get some another object to fall too but not from frame 0 ! Let’s say that from frame 50… How to do that? I don’t know if i’ve missed but have you or Chris done some basic animation tutorials? Is there comming if not? Thank you and others some much who make these AWESOME tutorials for Cinema 4D! Just brilliant..
thanks for the tutorial, was defiantly worth purchasing those files for this. Really looking forward to learning more of your tutorials. Does Cinema 4D R12 have those all bodies?? My Cinema 4D R12 do not have that all..
Great tutorial! Does anyone know why my simulation tags stop working randomly? The gumballs don’t drop down anymore and it’s so frustrating! Thanks! I posted a link to your tutorial on my new blog.. hope you don’t mind..
first of all I would like to thank you because you made ? ?me broaden my knowledge in the area of ? ?3D modeling and animation, to be honest, I only had used cinema 4d five times and got a good result for a 13 year old boy who has no money to pay your texture pack and your HDRI light pack, I found some settings on the Internet for jobs created in cinema 4d and got the following result: http://i.imgur.com/45m5u.jpg keep helping me and all the curious who want to learn 3D modeling like me, you are an excellent “designer, I work more with special effects in photoshop image manipulation then had no problem getting the treatment that my own in my opinion was in fact very similar to yours. Thanks this is really a great tutorial!! Im using the cinema 4D demo version and does not have any of these HDRI packs but it works great anyway. Great Tut!!! At 9:41 In the Tutorial (creating the top bolt), instead of creating a separate Capsule, I pulled the cylinder slightly higher and added a fillet cap to it! Thanks for this great tutorial nick. I always learn something new no matter how simple or short the tutorial is. Im a first step c4d newbie – and im having a probably silly issue – after adding the the rigid and the collider to the 10x10x10 grid – nothing happens when I press Play, no dynamics, nothing . Really a great tutorial, I learned alot! Only thing was I have R14 and it doesn’t have Sky sampler anymore so I used QMC. Amazing that something that looks as great as that can be done so surprisingly easy as long as you know how. Guess that’s the reason why there are lots of cool designs emerging everywhere. Thanks for the tutorial. Hi..can i ask something..how to set the gumball position that you rendered to initial state..i mean that you have render the image in the middle frame..can you make this frame you rendered to the first frame?sorry bad english..
iam usedto working on 3Dsmax but now i know Cinema 4D and Maya is best! so iam stop working on 3dsmax. Dude. I just have to say that you’re the best thing to happen to the C4D community. You’re rad, you’re helpful, your tutorials are super straight forward, you provide amazing tools that help nerds like me look like I know what I’m doing. Anyway, keep it up and thank you. Hi, great tutorial. Just one problem, I use Maya and I was just wondering if you could do the same tutorial in Maya 3D? Or is it too complicated? 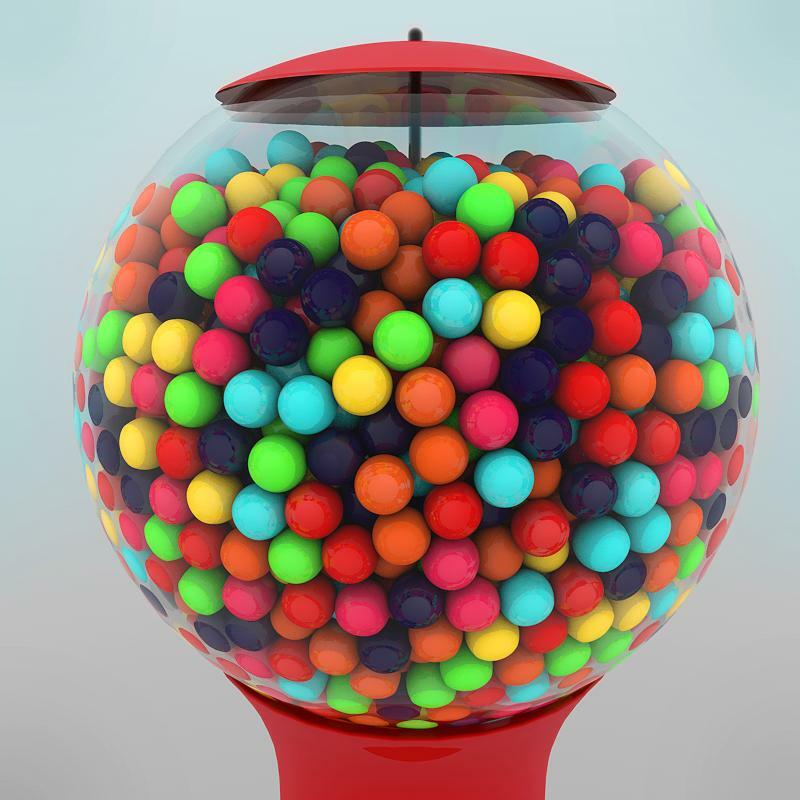 whenever i render the final, my gumballs facing the camera are a black reflection and the reflect all the colors around them,…. is my gumball texture to reflective?! what the heck is going on! ?